I am home. My car is full. More to come soon…Until then here is a picture from the Ethan Allen catalog that was awaiting me when I got home. 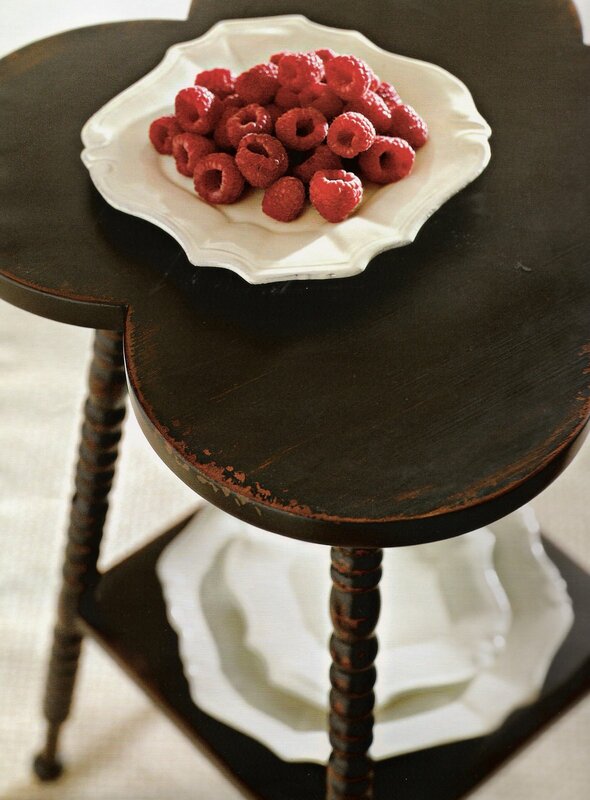 I just love the color combo and the worn edges of the table. I love the mix of the old and the fresh. And the simplicity of color and line… Would look great framed & hung in a kitchen don’t ya think? I am featuring you on my blog.http://TodaysCreativeblog.blogspot.comDon’t forget to mention it! 🙂Love your stuff.